It’s the fourth week of the Triangle Quilt Along over at The Sassy Quilter. This week’s goal was to sew all of of our rows into one big top. This process took much less time than piecing all of the individual triangles together. Overall, the process went quite smoothly. It only took a couple hours, even with the extra step of piecing my large triangles into the design. 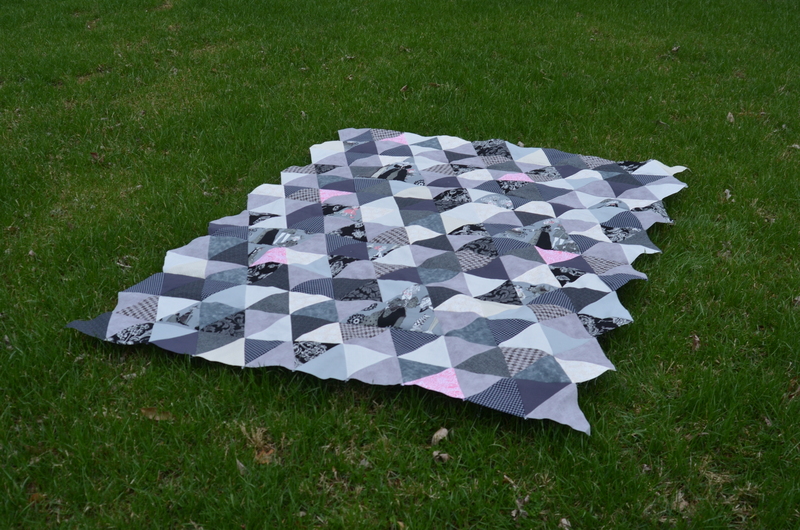 There’s a week off between this week’s goal to finish the top and the final completion of the quilt, which gives me 2 weeks to decide how I want to quilt this top and get it done. How would you quilt this top? Very pretty color combination. I’ve been thinking of how to quilt it as well..no idea just yet. I love the inclusion of the bigger triangles. 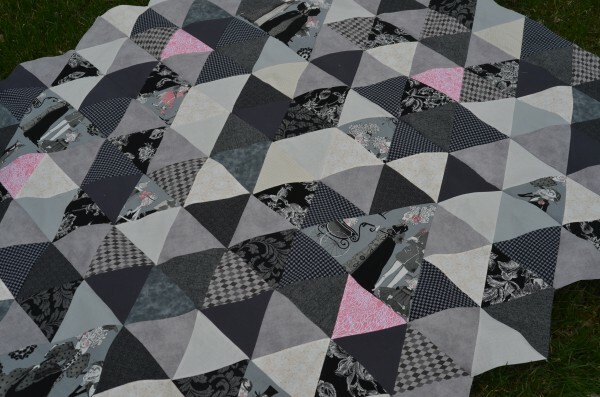 Contemplating my own equilateral triangle quilt, so I might copy that of I can work out the maths! Karyn, I am putting up a tutorial on how to figure out the math next week. I hope it will help you, but the basics are twice the finished height (or side length, depending on your template) + .5″ for your seam allowance. LOVE! Beautifully done 🙂 When I am looking to find inspiration for quilting I go to Google images. 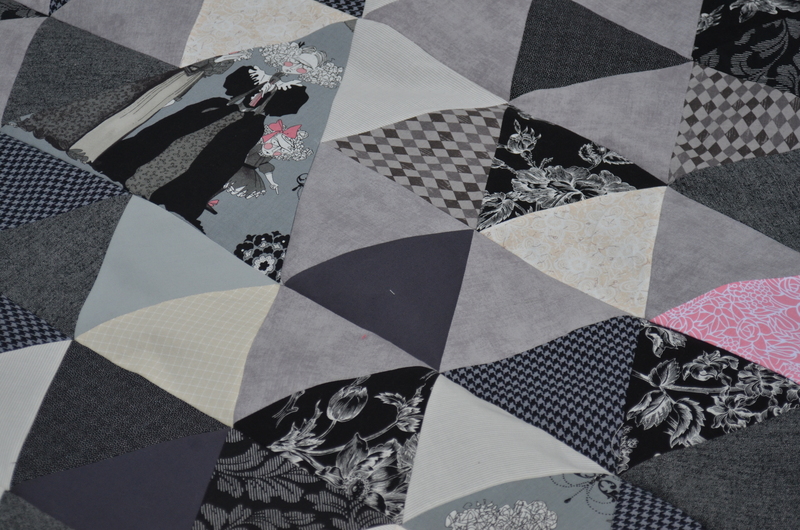 Try searching “triangle quilting.” You are bound to find something that will make this top sing. . . not that it isn’t already!